Start your real estate journey at www.FineLoudounHomes.com. Suzanne’s passion is helping others, whether it’s raising service dogs for disabled veterans, serving at her church or taking care of her family. That passion is what drives Suzanne in real estate, as well. For many people, buying a home is the single biggest investment they will make. Suzanne’s talent for listening to her clients and understanding their desires, goals and parameters allows her to help them navigate the complexities of real estate successfully. Whether you’re a first-time homebuyer looking for the perfect place to raise a family, an empty-nester ready for a change, or an investor looking for a great opportunity, Suzanne has the skills and drive to help you accomplish your real estate goals. 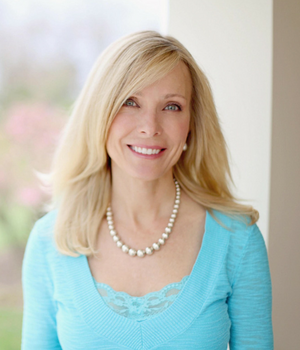 Suzanne has lived in Northern Virginia since 2001 with her husband and two children. As a real estate owner and successful investor, Suzanne has experience in building horse properties, custom homes, renovating properties, long-term rentals and developing raw land. She holds a BA in finance from The College of William and Mary and an MBA in marketing & management from The Kellogg Graduate School of Management at Northwestern University. She lives on a farm in Loudoun County with her husband, son, daughter, doberman, three horses, one cat and an infinite number of nocturnal critters. In her spare time, Suzanne is a volunteer assistant trainer at Veterans Moving Forward where she raises and trains service dogs for disabled veterans. She is addicted to hugs from her family, the awesomeness of God’s Word, puppies, EOS Lip Balm, and Market Street coffee. For more information or to start your real estate search visit www.FineLoudounHomes.com.